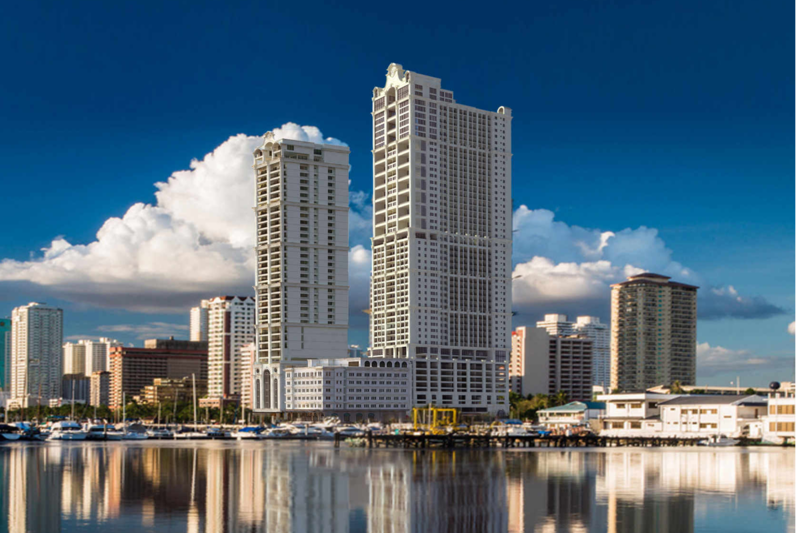 In this era of towering steel, all-glass façade, and geometric figures that line our cityscapes, Admiral Baysuites, a 53-storey condominium tower brings us back to the elegance and romantic charm of the old Manila. Combining an experience of the classic and the contemporary, Admiral Baysuites offers the best of both worlds. Symmetry was the guiding principle on the configuration of lines and blocks on the building’s façade, as this is an established character of a classic architecture. Interior spaces and zoning on various levels were clearly defined on its exterior by the prominent columns and straight lines of the cornices. Concrete mainly comprises the building’s shell, characterizing the strong and massive feature of the structure. Yet it is softened and harmoniously complemented by the curve lines of the arches and mouldings. On the other hand, modernity clads up the upper section, housing the prime units of the West wing. This is evident in the use of glass railings and curtain walls on the bi-level units. Akin with a classic piece of jewelry, it is glistened by a 14-meter high crown on top, branded by the prominent Admiral logo moulding which gleams during nighttime. Since this building is fronted by a heritage building, it is the architect’s intent to adapt the art-deco style of the 1930’s, integrating the building into the historical fabric of the site. But to blend into the fast-paced, sleek, and the opulent lifestyle of its inhabitants, Admiral Baysuites brings forward a fresh take on city living. This skyscraper standing tall against the cosmopolitan is a testament to the designer’s ingenuity by carefully incorporating the classic visual appeal with top of the line amenities. It boasts of spacious bi-level units that feature its own 15-meter lapping pool, fronting the magnificent view of the bay. They have the best view of twilight as they swim on an infinity pool that converges with the sparkling currents of Manila Bay. It’s as if they own a part of a world, seeing marvels of nature at the comfort of their own homes. 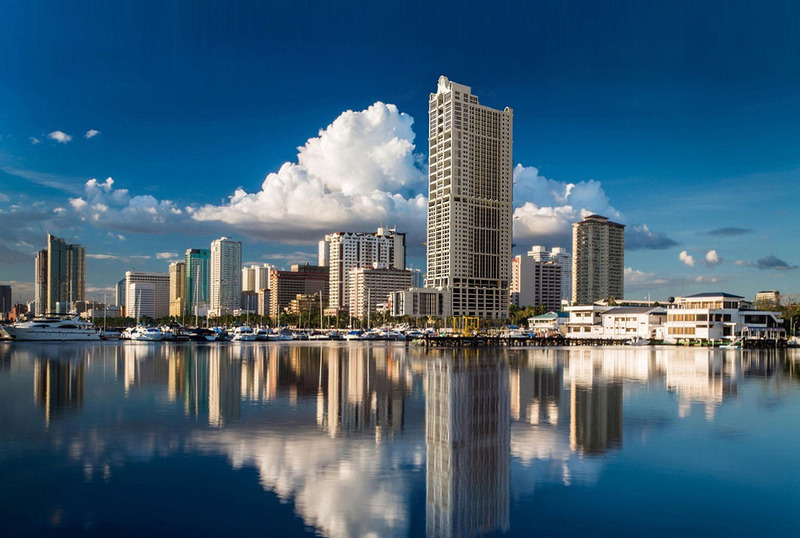 With ingenious amenities and astounding façade that counter the monotony of typical condos, Admiral Baysuites is a skyscraper that reflects Manila very well: an amalgamation of rich cultural heritage with a yearning for something fresh, something sleek, and something extraordinary.